The reasons for which are numerous and complex. Although 2018 still has a few months to go, the sales results from the third-quarter of the year are in and, as it turns out, BMW actually lost money. According to its own Q3 report and an analysis by , the German automaker reported a 27 percent drop in operating profit to $2 billion due to currency effects, higher raw material prices, higher research and development costs, and trade tensions between the US and China. Oh, and there’s also a price war going on in Europe. 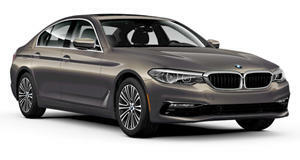 Interestingly, BMW reported a slight increase in overall vehicle deliveries for the period of July through September. However, overall operating return dropped from 8.6 percent to 4.4 percent, which was below BMW’s targeted range of 8 to 10 percent. “Along with the rest of the industry, we are increasingly confronted with adverse external factors, the negative impact of which cannot be fully offset," said Chief Financial Officer Nicolas Peter. BMW hopes to save money by bringing down some costs in order to better help offset spending on upcoming vehicle launches, specifically EVs. As for that price war in Europe, the cause can be pinpointed to new emissions testing rules. BMW also had to set aside funds to finance recalls of fire-prone vehicles, including , and other warranty claims. And then there are the trade tensions between the US and China. Tariffs are having an effect and BMW, like all other automakers, doesn’t expect this disagreement to be solved in the near future. An increase in raw material prices also didn't help matters. One of the key raw materials automakers need these days is cobalt. 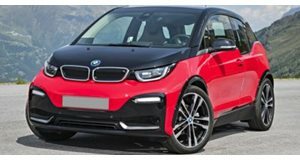 BMW plans to buy more of it and then make it available to battery cell suppliers in order to secure its own supply of batteries for its upcoming EVs. Like any automaker, BMW wants to end the year on a high note by actually making money, and the clock is ticking fast to ensure that happens.